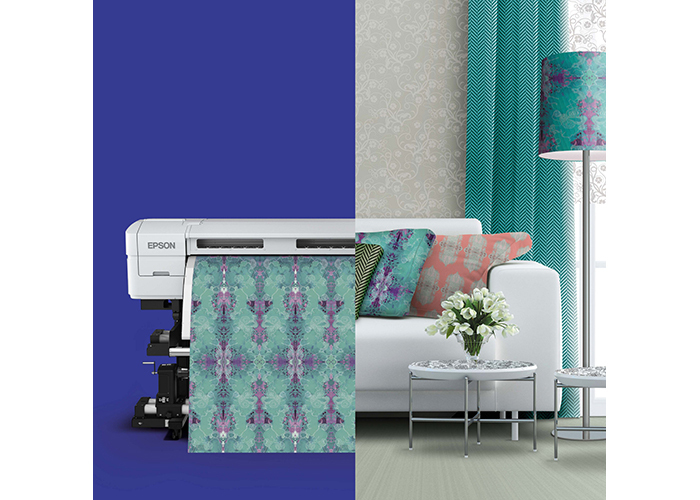 In today’s increasingly personalised world, digitally printed interior décor is transforming the spaces in which we live, a view shared by Duncan Ferguson, Director of Pro Graphics, Epson Europe and endorsed by Neil Greenhalgh, Product Manager at Epson UK. Research included in the Conceptual Living report, published last year, revealed that the majority of homeowners now tend to use textiles to providing their interiors with individuality. Furthermore, they now also tend to refresh their interiors more frequently than hitherto, in order to reflect current design trends and changing lifestyles. By using Inkjet printing it is easy and to produce affordable bespoke interiors of a stunning quality and appearance, on demand and to suit individual tastes. And, with the ability to print onto virtually anything, designers can expand their vision exponentially. 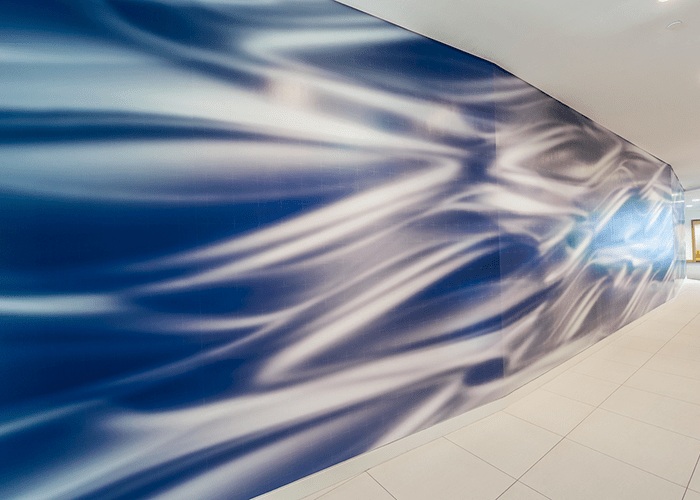 It is therefore no surprise that digitally printed bespoke wallpapers are rapidly growing in popularity. There is now a wider choice of both self-adhesive and ready-pasted materials and fuelling these trends is dye-sublimation printing, which is hard to match in terms of versatility and quality. Whether it’s a sole entrepreneur starting out on a new venture, an interior design business motivated by the creative potential of digital décor or a restaurant/ hotel owner wishing to create unforgettable spaces for guests, the flexibility of dye-sublimation can offer enormous creative potential. According to Neil Greenhalgh, what sets dye-sublimation apart from other printing technologies is the fact that the ink actually penetrates the substrate instead of just coating its surface, thus creating high-resolution permanent images. This is the result of a chemical reaction in which heat turns the ink from a solid into a gas that then permeates polyester or polyester-coated materials. The heat causes the pores to open and accept the gaseous dye and, when it cools, the pores close to permanently fuse the image. Contrary to misplaced opinion, printing exclusively onto polyester substrates does not limit the capabilities of dye-sublimation printing. In fact, quite the opposite is the case. In practice, the image is printed onto a dye-sublimation transfer paper and then a heat press is used to apply the paper to whatever is being printed. This can be anything from aluminium panels, upholstery and associated furnishings and fixings, to textiles and fabrics. As long as the item contains, or is pre-coated with sufficient polyester, it will accept high-quality imagery that is both durable and scratch-resistant. And, in the case of textiles, the ink is so completely absorbed into the material that its original tactile qualities remain unaffected. There is a wide choice of dye-sublimation printers on the market that are designed to accommodate virtually every printed graphics requirement. 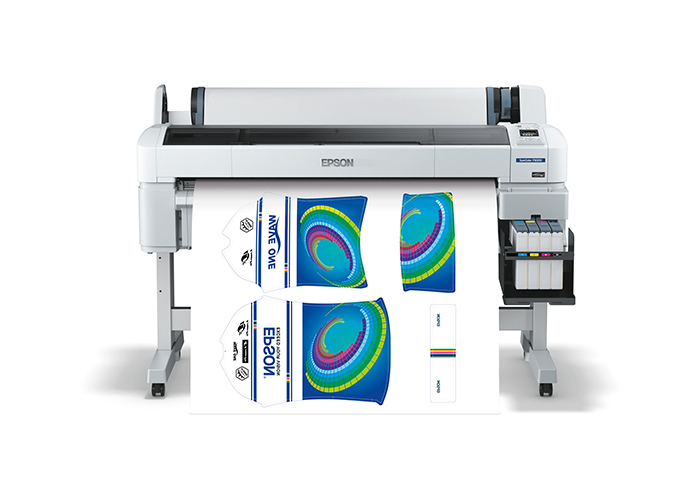 Epson, for example, offers one of the widest ranges of dye-sublimation printers currently available. These include the SureColor SC-F Series and, in particular, the SC-F6000 that represents the perfect entry-level dye-sublimation solution. 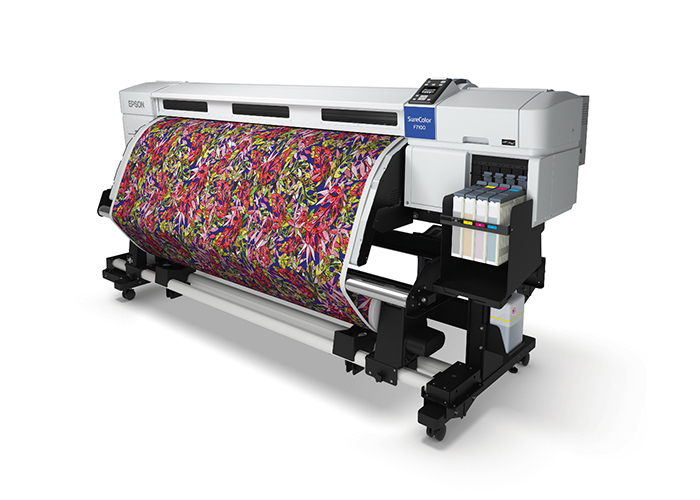 For companies wishing to expand their current dye-sublimation capabilities, or requiring higher productivity levels, larger formats and medium-to-high-volume print runs, the SureColour SC-F7100 or the new SureColor SC-F9200, which uses the new HDK Black Ink formulation, offer the ideal solution.HDK Black is the latest addition to the UltraChrome DS ink range and has been designed to help manufacturers produce high-quality, high-volume printed textiles whilst still keeping costs affordably low.